Local personalities making shakes for charity. Piled-on ice cream scoops, some secret ingredients or two, and then… mix it up with milk. 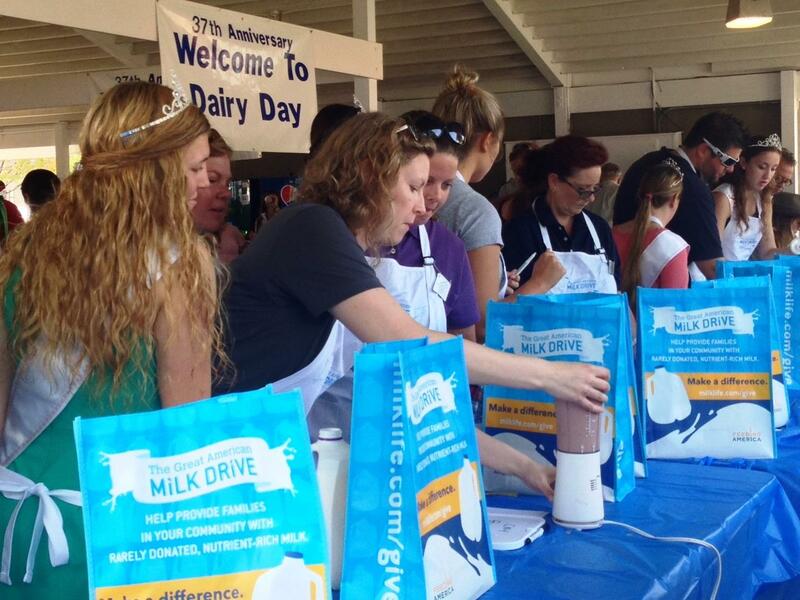 The New York State Fair marked the 37th annual Dairy Day Monday. Members of the media competed this morning with their one-of-a-kind milkshakes. Rising Country Music Singer Lindsay James was teamed up with local DJ Skip Clark. "All around, I actually would drink our shake. Skip, don't you think you would drink the shake?" "The shake was awesome," Clark said. "It tasted great," James concurred. Dairy Princesses chose Time Warner Cable News as the winner. Fifty gallons of milk will be donated in their name to Food Bank of Central New York. 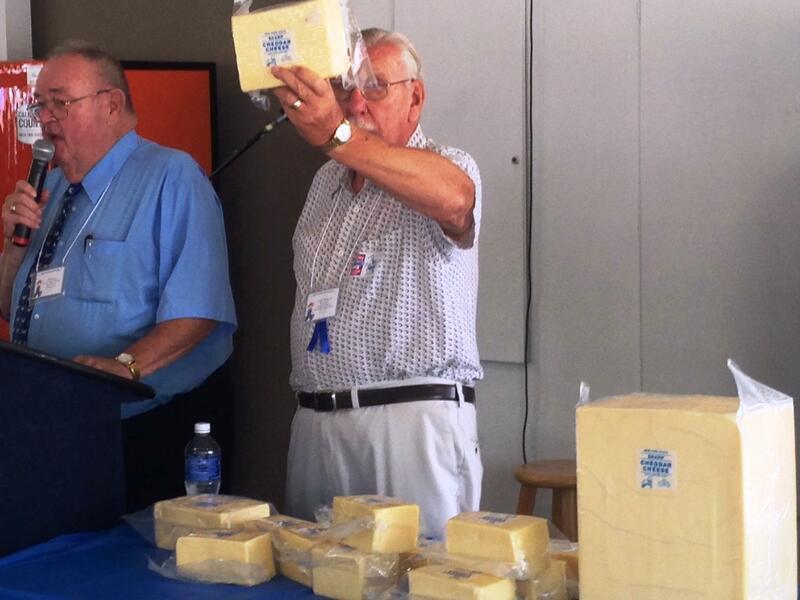 Afterwards, the Big Cheese auction raised proceeds for the Dairy products building. Can you say "cheese?" Name your price. A 40 pound brick of cheese brought top dollar...$1,100 dollars in fact. American Dairy Association V-P of Industry Communications Beth Meyer says the Dairy industry makes a really significant impact on the economy. "It's a great day to recognize all the hard work the men and women do throughout New York State to produce milk. Agriculture is biggest sector of New York's industry, dairy's the largest portion of that sector. It's a very important employer in New York State that I think not everybody realizes." 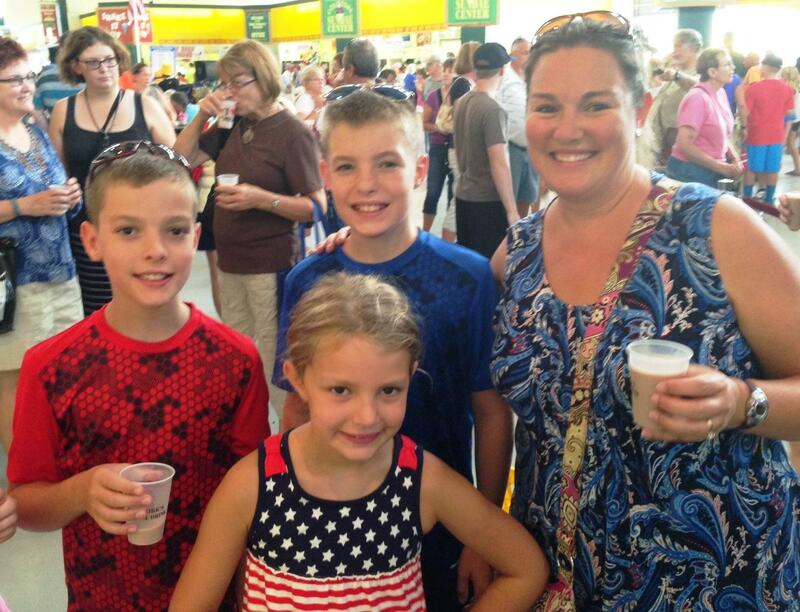 We stopped the Ashley family with their chocolate milk in hand to see if they could guess how many gallons are produced daily for the Rainbow Milk Bar at the Fair. WAER's John Smith quizzes the Ashley Family. The Ashley Family enjoys milk at Dairy Day. Another 400 gallons of whole milk is also delivered daily to the Fair’s milk bar. 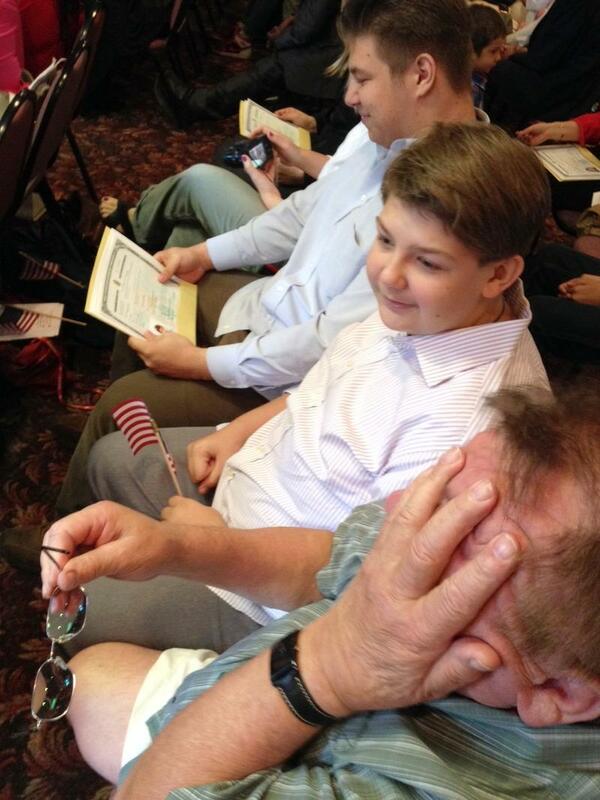 NYS Fair Hosts First Ever Naturalization Ceremony for "New Americans Day"
Nearly 100 Central New Yorkers crowded into the Empire Room at the state fairgrounds Friday to take the oath of allegiance to become citizens of the United States. They originate from 40 countries...from Bangladesh and Iran to New Zealand and Vietnam. 19-year-old Michael Malinowski of Syracuse came to the U.S.from Poland when he was 12. He says he’ll always have a place in his heart for his homeland, but is proud to follow in the footsteps of his grandfather who was with him Friday. 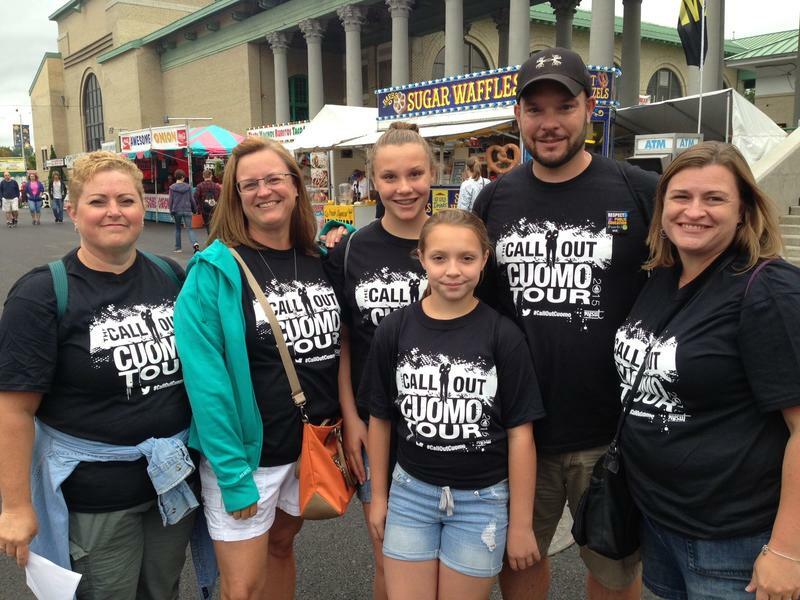 Dozens teachers and their supporters wore black t-shirts on the first day of the State Fair on Thursday with a pretty direct message for the Governor… “Call Out Cuomo.” The only problem was, he wasn’t there to see it firsthand. However, he did send Lt. Governor Kathy Hochul who acknowledged the teachers when asked by the media. People anxious for the start of the 2015 New York State fair have to wait no longer as it begins its 12-day run Thursday. During a preview event, fair officials drew attention to some the changes they feel will interest fairgoers including Equine Avenue. 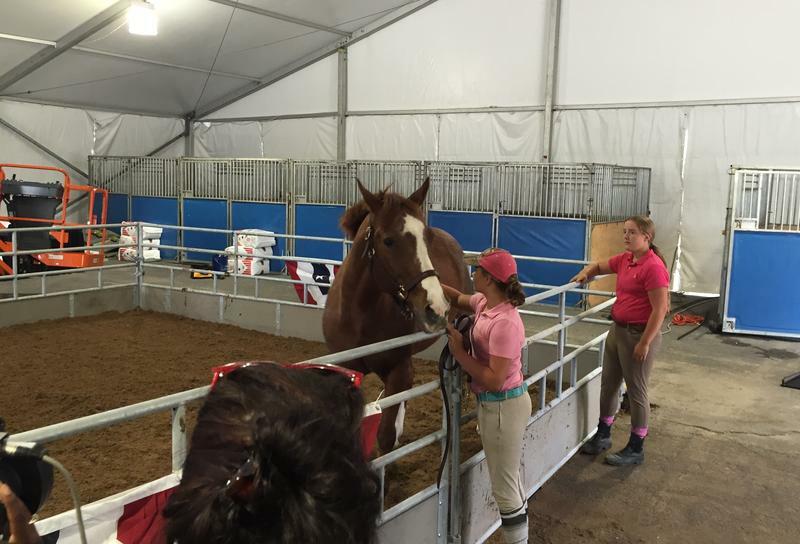 Cazenovia College Professor Doctor Karin Bump hopes it gets more people interested in the horse events and this part of the agriculture industry.